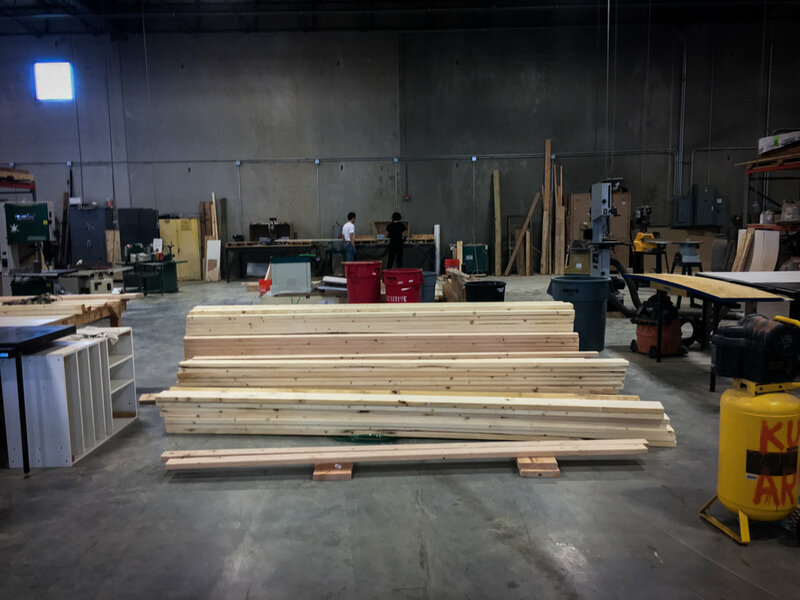 The wall framing for the tiny home consisted of 800+ linear feet of dimensional lumber and was executed in only three days between lumber delivery, cutting, dry laying, nailing, and erecting. Lumber delivery + our friend, Adam. Ian and Yahya beginning to tackle 800+ linear feet of cutting. The weekend dedicated to framing the walls was our most productive use of help from friends. Because tasks were generally repetitive and did not require intimate knowledge of the tiny home design, we could get people going on cutting or drilling as we coordinated and delegated. 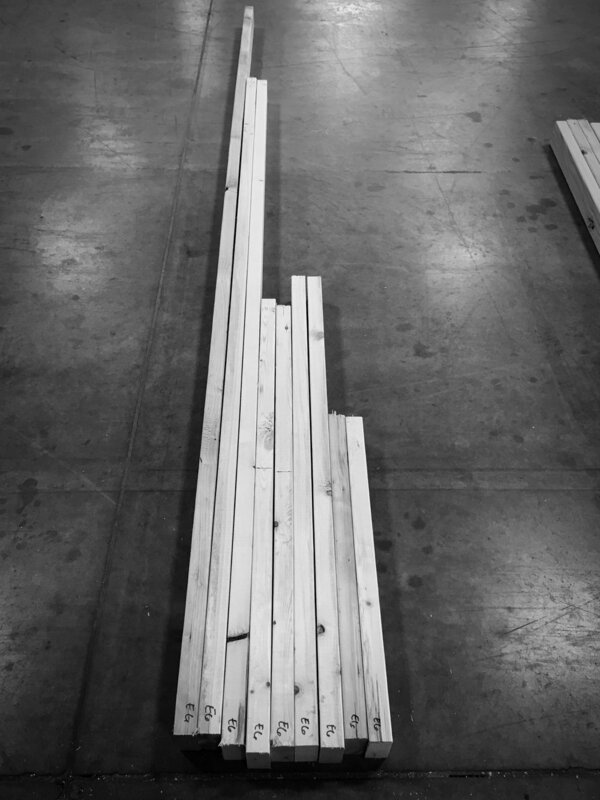 Our friend, Ian, and Kadim's brother, Yahya, spent a full day cutting all of the lumber for the wall framing as I provided them with dimensions and helped them coordinate cuts that would result in the least amount of waste. As the cutting was underway, I began dry laying the wall framing in order to keep track of cuts and anticipate nailing and framing patterns. 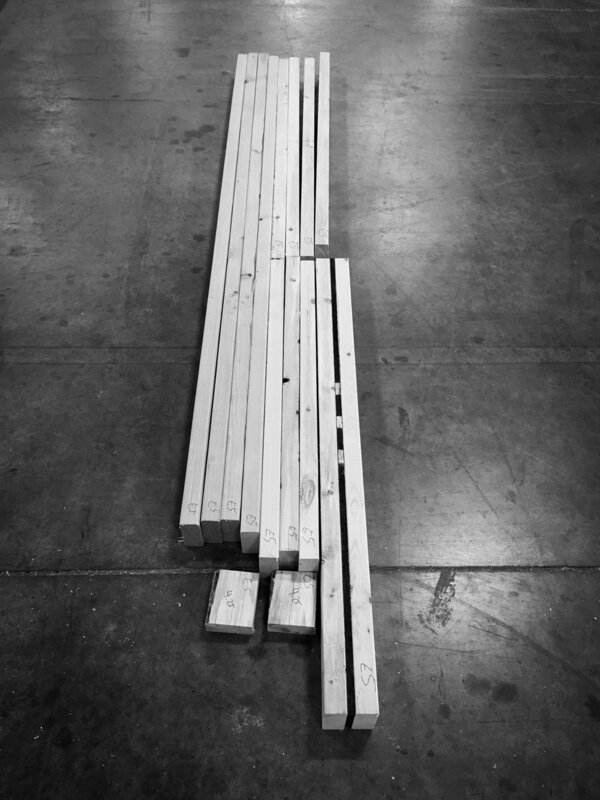 We chose to frame the walls in 4' modules comprised of 2x4" lumber; these modules would fit between the larger 2x8" columns that separated each structural bay in the tiny home. By doing this, we could ensure that nailing would be carefully executed, and once each module was complete, it could be lifted into place and installed without the use of machinery or very much muscle. As shown in the images above, we (Kadim) eventually discovered that nailing on top of the trailer was much easier on the back than nailing on the floor. 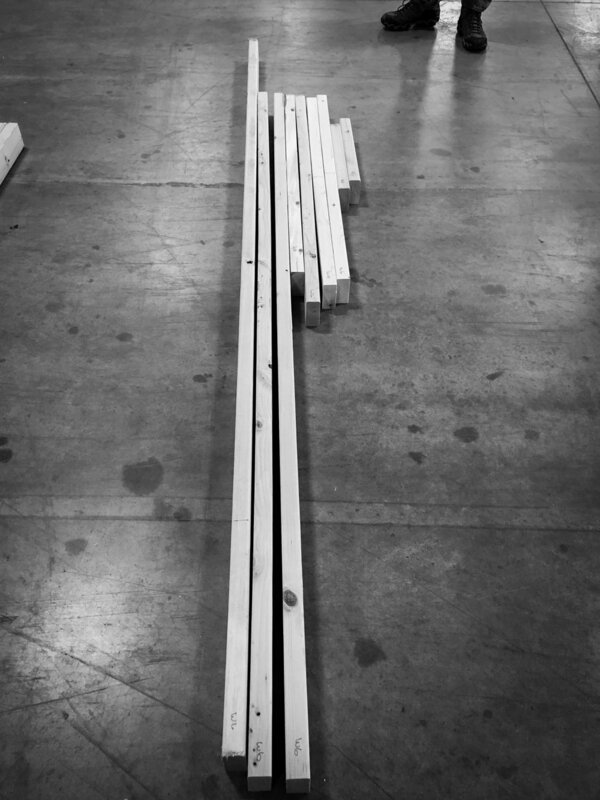 In the image above and the two below is a mock-up of the detail Kadim developed for the way in which the wall framing and the interior floor sheathing meet. The wall sandwich is comprised of 2x4" lumber, sheathed with 7/16" osb on either side. The floor sheathing is 3/4" osb. A 3" strip of 3/4" osb mediates between the floor rim joists and the base plate of the wall framing. The 3/4" gap left on the interior allows the interior floor modules to be slid into place and their edge condition disguised underneath the wall framing. 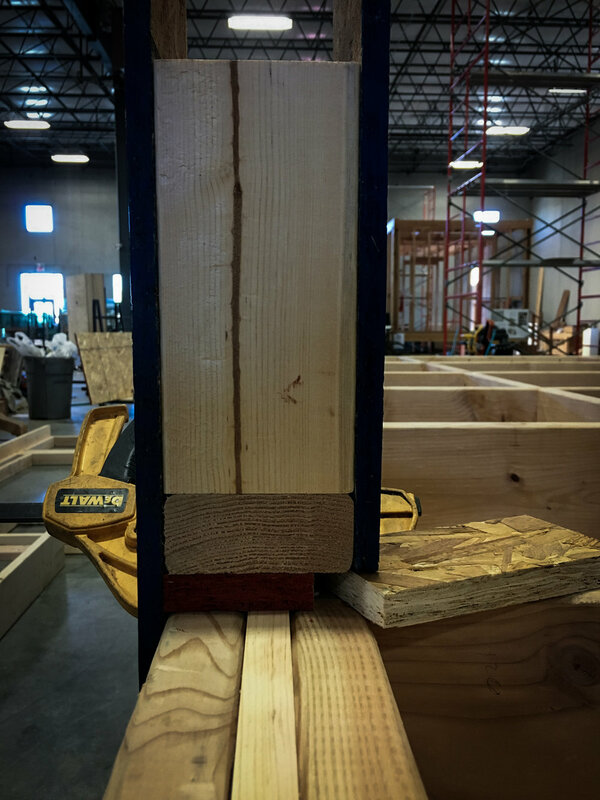 The bottom edge of the interior wall sheathing is chamfered to allow the floor panel to be slotted easily into place and to mitigate damage at the edge of the interior osb, which is the wall finish. After our team of friends had finished helping us cut the wall framing lumber and began nailing walls, Kadim and I were able to finish the nailing in a day, and we erected all 14 walls on our own in a single day in only 3.5 hours. It was tedious work, but had we not made the walls out of 4' modules, we would not have been able to erect them ourselves without considerable help and coordination. Wall framing complete, with a few temporary lateral braces.